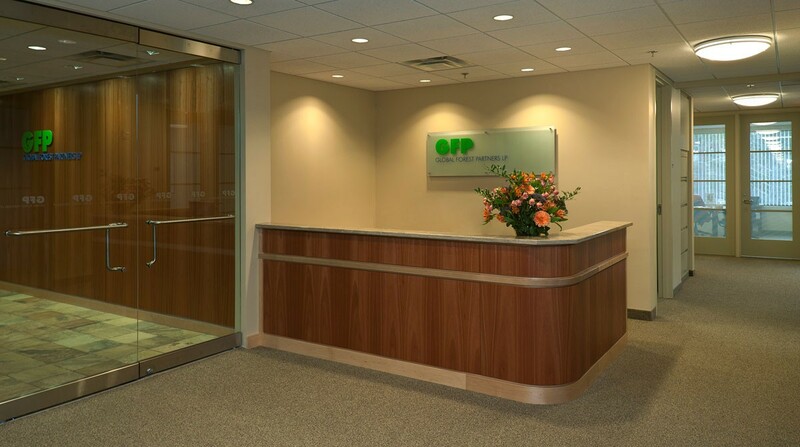 Completing the top floor of a professional office building to provide headquarters for a timberlands investment company, this project reflects the client's interest in a clean, uncluttered, contemporary aesthetic. 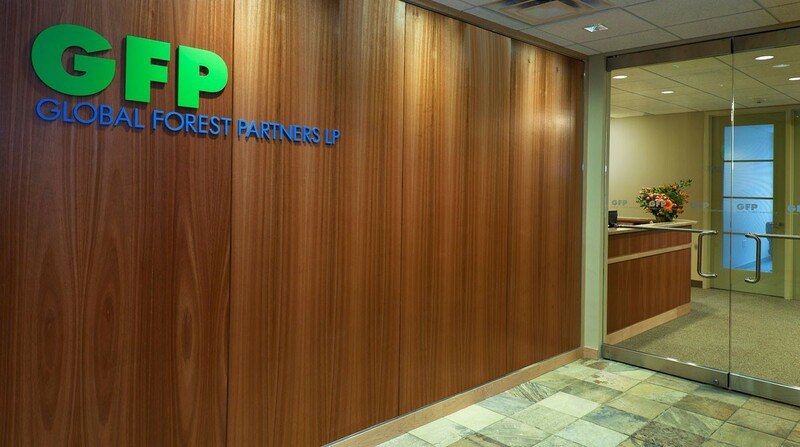 Neutral colors contrast with selective use of wood for paneling, built-in furniture and custom conference room tables. 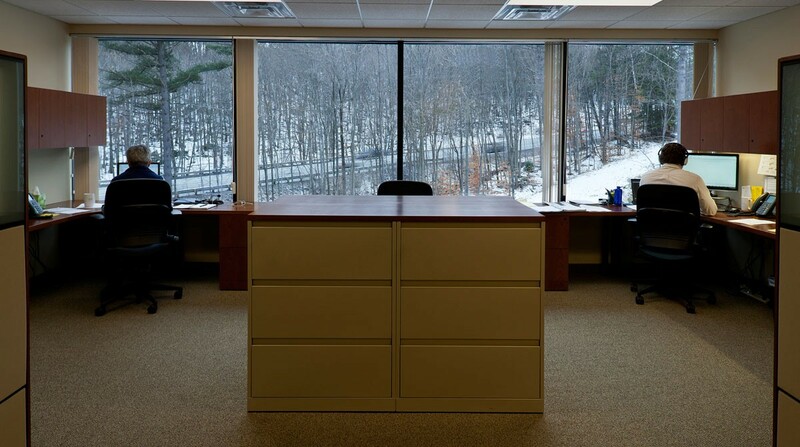 The offices are organized around the core so that each workstation is adjacent to views and daylight, limiting the need for artificial lighting. 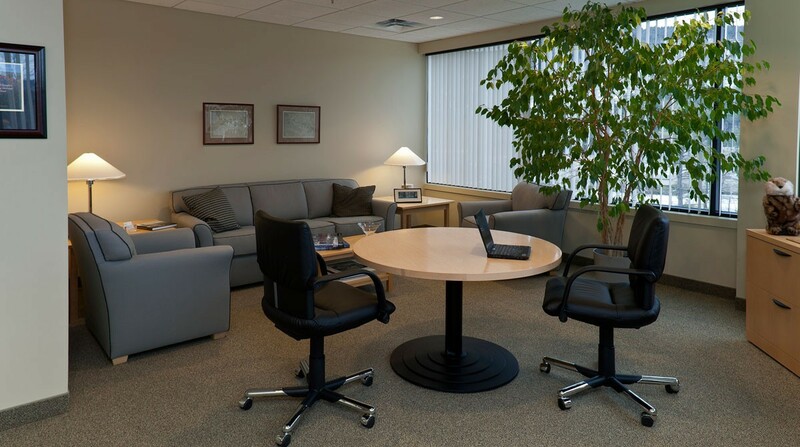 The plan balances private offices for managers and analysts with open areas for the support staff. 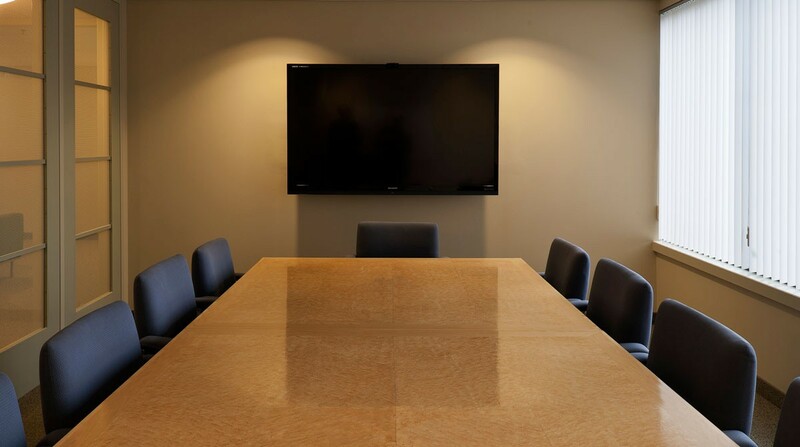 Conference rooms of varying sizes provide flexibility and video conferencing. 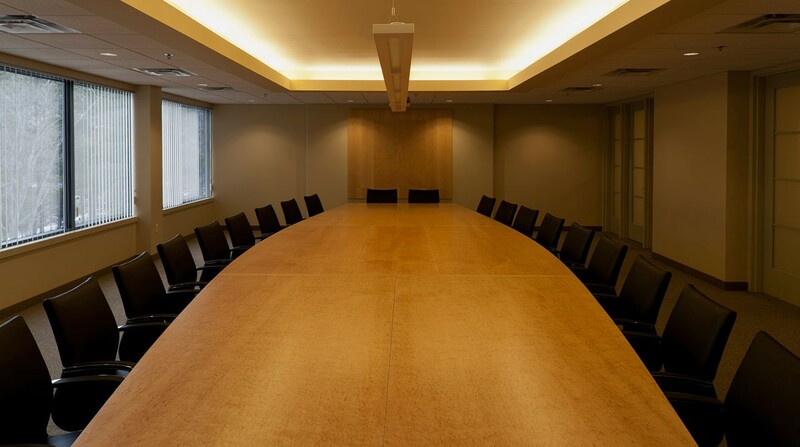 One conference room was designed to accommodate the entire staff for meetings that include personnel from international offices. The mechanical system allows for maximum comfort regardless of external environmental conditions or internal demands. © 2019 Haynes & Garthwaite Architects All Rights Reserved.